Evanston Home One Room Two Seasons — Deb Reinhart Interior Design Group, INC.
Our client asked us to create a sun porch for all seasons, by transforming this space—made cold by long Chicago winters—into an area that can coexist with the adjoining formal living room yet come into full bloom for seasonal use in warmer weather. Our solution was to create a dynamic room. Winter - Area rugs and unique drapery panels create a backdrop for a floor mirror that provides a focal point for dull, cold drafty days. 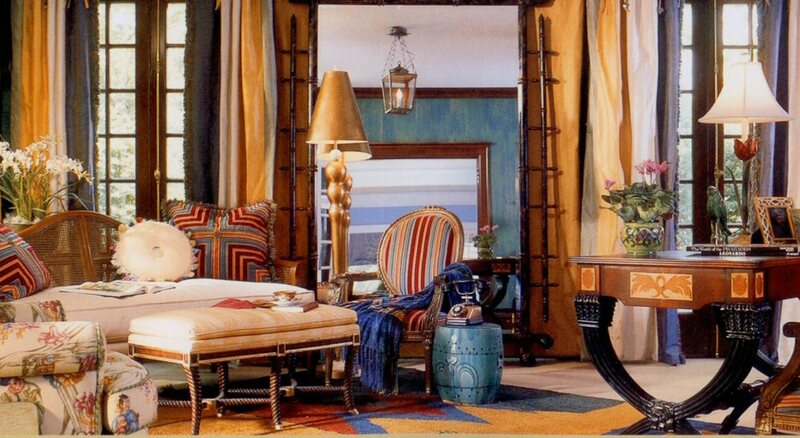 Summer - rugs and draperies are stored away, the mirror is re-positioned, and summer seasonal slipcovers and accessories appear. "Approachable, friendly, warm. The ultimate professional. Never arrogant or pushy. Always has time to listen and to teach."